Over the past several decades, concrete manufacturers have made concrete highly accessible and easier to use. This has allowed homeowners to handle small concrete jobs on their own, such as creating walkways and patios. You can also use concrete to create cement pillars that you can use to support a basketball hoop or a mail box. If you are interested in making a cement pillar, you can do so in a few easy to follow steps. Dig a hole in the ground for your pillar with a shovel. Make the hole a little more than twice the width of the pole your pillar is going to support and a third as long. Place your cardboard cylinder in the hole. Your cardboard cylinder will serve as a frame for your pillar. Use a cardboard cylinder that is as deep as your hole and twice the width of the pole it will support. Fill in some of the dirt around the cardboard cylinder. Fill in the area around the outer edge of the cylinder with the shovel so that it fits snugly in the ground. 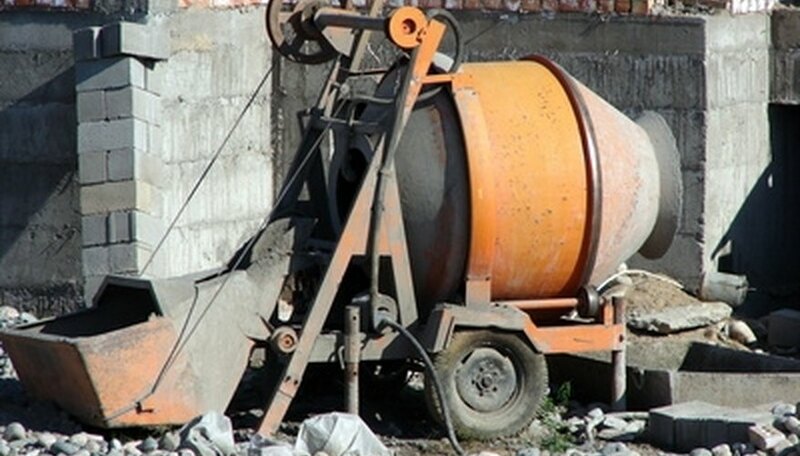 Mix the concrete and some water in a wheelbarrow with your shovel. Because different concrete mixes require different amounts of water, follow the directions on the back of your concrete mix bag in order to properly mix your concrete. Pour your concrete mix into the cardboard cylinder using your shovel. When you have a small layer of concrete at the bottom of the cylinder, place the pole you are going to support with the pillar inside the cylinder. It may help to have another person hold up the pole while you continue from here. Have the second person hold the pole up straight and then continue to pour the concrete into the cylinder until it is full. Let the concrete dry. Once your cylinder is full, straighten your pole and then let the concrete dry for as long is recommended on the back of your concrete mix.